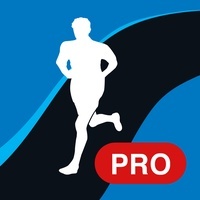 Runtastic PRO has 1 alternatives which are listed below. Lose weight with MyFitnessPal, the fastest and easiesttouse calorie counter for iPhone and iPad. With the largest food database of any iOS calorie counter (over 4,000,000 foods), and amazingly fast food and exercise entry, we’ll help you take those extra pounds off! There is no better diet app period. A MyFitnessPal.com account is required to synchronize and safely backup your data. You can create your account for free within the app. Largest food database of any iPhone calorie counter – over 4,000,000 foods and growing daily Easiest and fastest food entry – remembers your favorites, add multiple foods at once, save and add entire meals, and more. THERE IS NO FASTER OR EASIER APP THAN MYFITNESSPAL. Fully syncs with the web, so you can log from your computer or your phone, whichever is more convenient. Plus your data is backed up online so you never lose it. Diet with your friends - add friends and easily track and support each other’s progress Comprehensive feature set – create your own custom foods and exercises, track all major nutrients, progress reports, customized goals based on your diet profile, and recipe calculator, with full support for metric and English units. Add your meal summaries to HealthKit – You can now share meal data with HealthKit-connected apps every time you add food to your diary. Sync your weight with HealthKit – If you have an app that records your weight in HealthKit, we can automatically sync that with your MyFitnessPal account. Likewise, if you track your weight in MyFitnessPal we’ll keep your HealthKit data updated. Add exercises from other HealthKit apps to your diary – When you exercise with an app that saves workout data to HealthKit, we can adjust your daily calorie goal for you. Over 350 exercises Track both cardio and strength training, including sets, reps, and weight/rep Create an unlimited number of custom exercises Enter your own calorie amounts – great for HRM’s or exercise equipment with calorie reports Connect with friends and easily track and motivate each other MyFitnessPal members who diet with friends lose 3X more weight on average! Read more about Calorie Counter & Diet Tracker by MyFitnessPal as an alternative for Runtastic PRO.